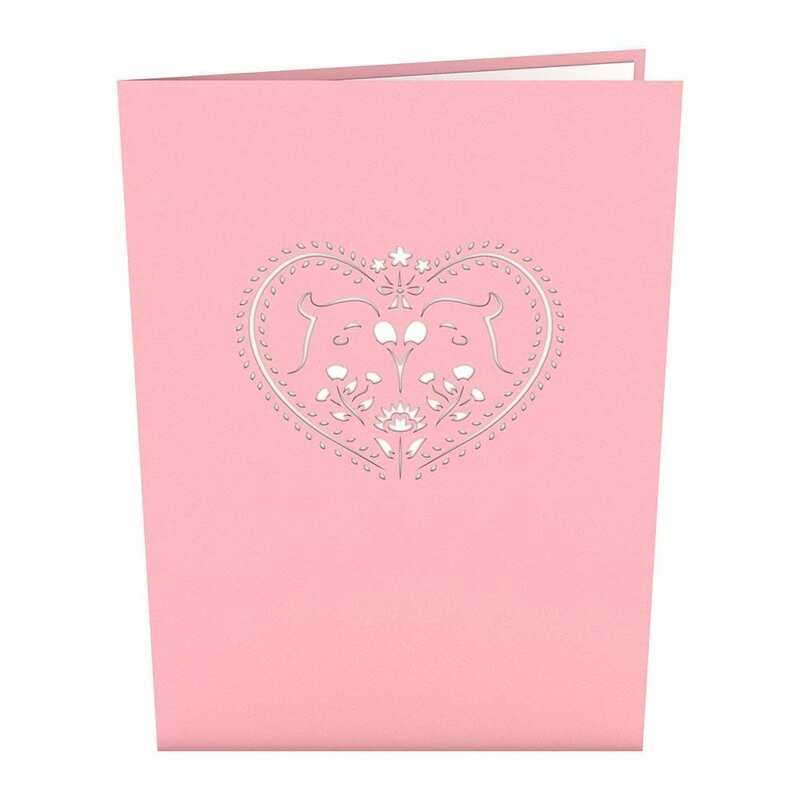 The Lovebirds card cover is a beautiful shade of rose pink with an understated hint of elegant shimmer. The cover features a creative illustration of two lovebirds surrounded by a lovely detailed heart and floral laser-cut designs. Open this captivating card to reveal a breathtaking sight. 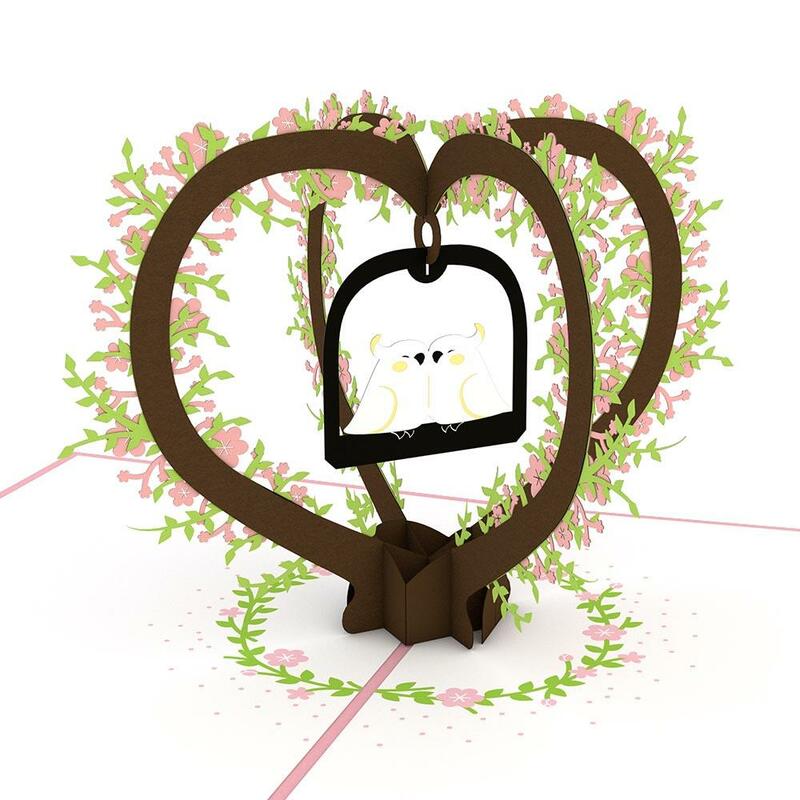 Two lovebirds smooching while perched on a swing inside of a gorgeous heart shaped sculpture with intricate floral details. The outer corners of this card feature lovely floral embellishments. 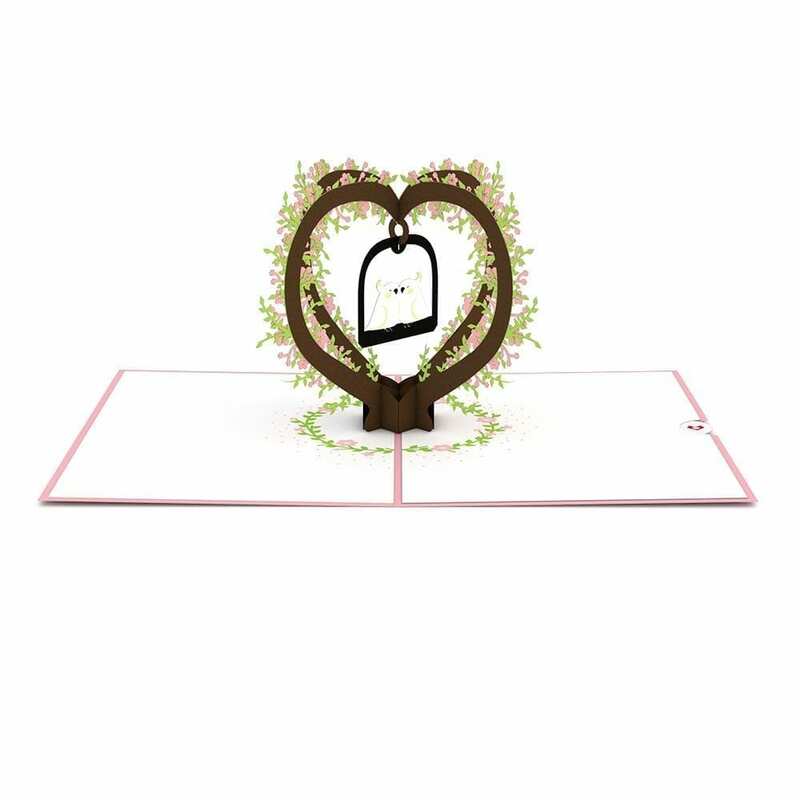 The Lovebirds pop up card is 5 inches wide by 7 inches tall.